I remember coming to the Big Cow back when I was youngster, when you could (if memory serves me correctly) actually go inside. Not sure if the new owners are the fun police or if health & safety laws got a whole lot stricter 20 years down the track, either way it’s a shame. The cow on the other hand is, amazingly rad, even with her chipped paint job. 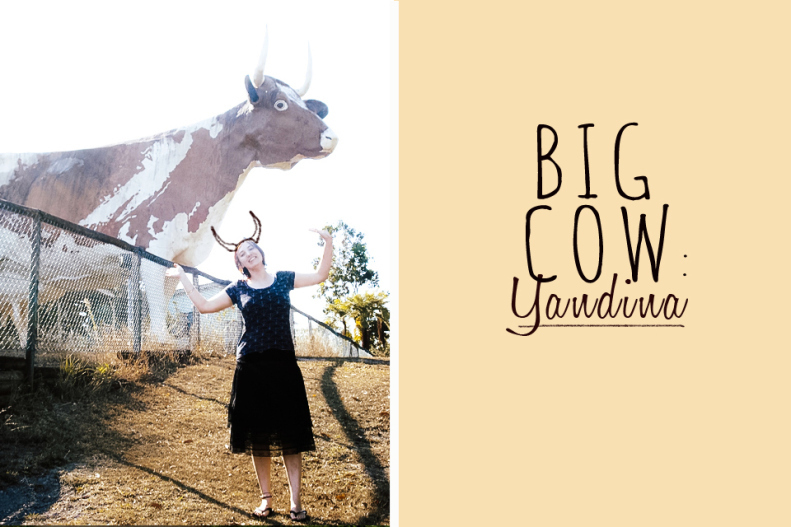 She’s also five times the size of a normal cow, definitely deserving of a Big Things title unlike *cough* Rockhampton *cough* Underwood *cough* Mareeba, that’s right, I’m looking at you and your life-sized bulls!